I have a little Christmas treat for you! While youâ€™re enjoying reading Angelâ€™s Great Escape in the lead up to Christmas, you can now enjoy making your own decorations too. Simply click on the picture and download the PDF. 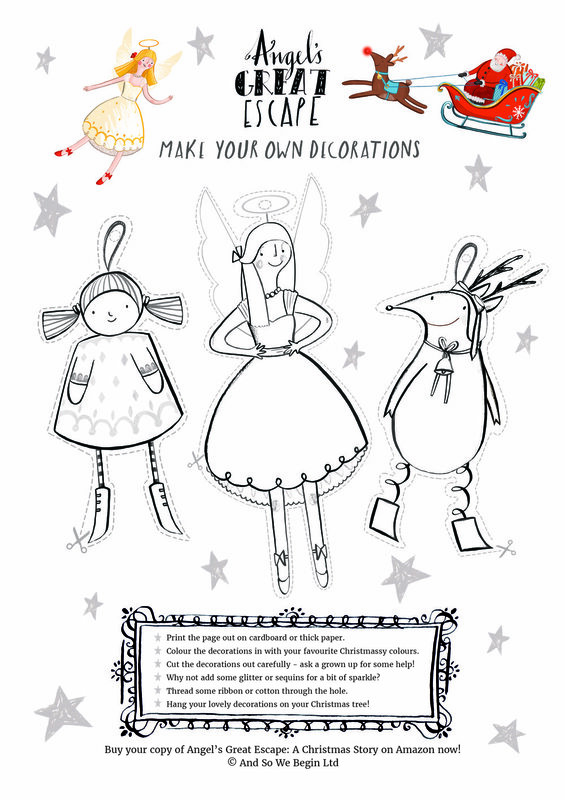 Print the pages out and colour the decorations in with your favourite Christmassy colours. I like to add a bit of sparkle to mine by sprinkling some glitter around! Thread each character on a pretty ribbon and pop them on your Christmas tree to enjoy throughout the festive season! Â© 2012 - 2019 And So We Begin Ltd. All rights reserved.